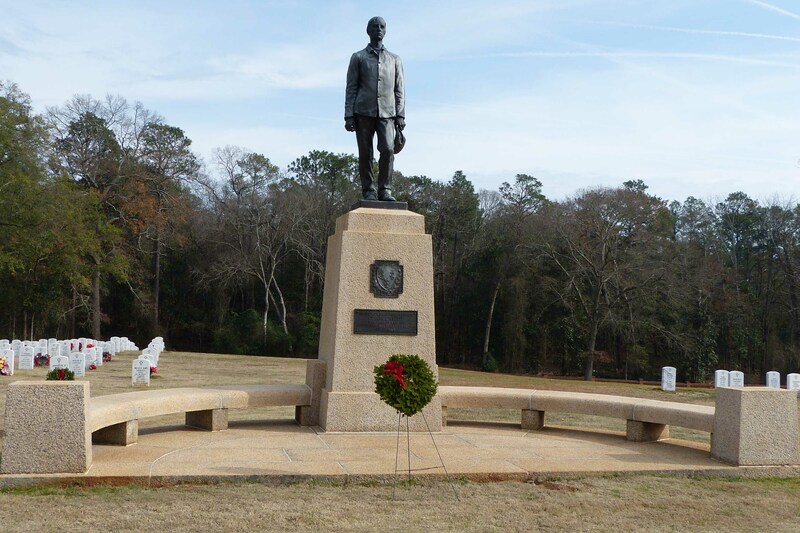 As winter came to a close along the front at Petersburg, Gen. Robert E. Lee’s main concern was how to save his dwindling, starving army from annihilation, but he was unsure of what course of action he should follow. Lee asked the opinion of Maj. Gen. John Gordon, a young but veteran commander of the Army of Northern Virginia’s Second Corps. Gordon’s reply was simple: 1) ask Grant for peace terms, or 2) abandon Petersburg and Richmond and march south toward Joe Johnston’s army in North Carolina, or 3) fight soon. On March 6th, Lee told Gordon to plan an attack. “To stand still was death,” Lee said. “It could only be death if we fought and failed.” Gordon devised a desperate but well-conceived plan—a surprise attack under the cover of darkness, first with small squads of troops with special assignments, with thousands more standing ready to exploit any breakthrough in the enemy’s lines. The goal was to fight their way all the way to City Point, disrupt the Union supply lines, and force Grant to reduce the length of his siege lines. Nearly half of Lee’s army was ordered to assemble behind the Colquitt’s Salient, a portion of the Confederate line that was quite close to the opposing Federal line at Fort Stedman. But then the plan started to unravel. Units that were supposed to conduct special operations got lost. Cavalry and thousands more troops that were to support the breakthrough failed to arrive when and where they were supposed too. Many of the starving troops in the initial assault wave stopped to feast on the bountiful rations they found in the Union camps. Early morning darkness gave way to daylight, allowing Federal troops to distinguish friend from foe. And the cool, decisive actions of a determined, little-known division commander of the Union Ninth Corps saved the day. Brig. Gen. John Hartranft was in charge of the Ninth Corps reserve, while Maj. Gen. Orlando Willcox commanded the front line. After the breakthrough, Willcox believed the day lost, and was preparing to withdraw, when Hartranft asked for and was granted command of the field. Hartranft immediately ordered his two brigades of widely dispersed Pennsylvania regiments to encircle the attacking Rebel force. (Click for a map of the second phase.) Containment was quickly achieved, the tide was reversed, and by eight o’clock, the battle ended in complete defeat for Gordon’s Confederates. Union losses were about 1,000: 72 killed, 450 wounded, about 500 missing. Estimated Confederate losses were four times greater—about 600 killed, 2,400 wounded, more than 1,000 taken prisoner (some estimates as high as 2,000)—all of them men who Lee could never replace. The Battle of Fort Stedman was, in the opinion of many historians the final chapter of the siege of Petersburg. It was entirely a Ninth Corps affair, so our boys in the Fourteenth Connecticut were not involved. However, they were not idle. With many of the enemy troops to their front sent east to Coquitt’s Salient, the men of the Second and Sixth Corps pushed forward. They captured and occupied long sections of the Confederates entrenched picket lines, extending the Federal siege lines farther to the west and closer to the enemy. This action was actually the opening scene of the final act of the long and bloody Civil War—the Appomattox Campaign. This entry was posted in 1865, General Information, Siege of Petersburg on March 5, 2015 by admin. 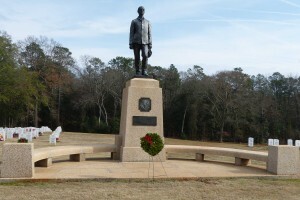 Gen. Sherman had taken Savannah just before Christmas. After a time to refit, resupply, and rest, the two wings of his army started to move into South Carolina about January 20th. The left (northern) wing was under Maj. Gen. Henry Slocum, the right (southern) wing was under Maj. Gen. O. O. Howard. Howard moved toward Charleston, then swung north, bypassing the city. Columbia, the capital of South Carolina, fell to Sherman on February 17th. Much of the city was reduced to ashes, and great debates still rage over which side actually started the fires. In great peril of being cutoff from the rest of what remained of the Confederate army, Confederates abandoned Charleston to the Federals the next day. Meanwhile, on the 15th of January, Fort Fisher at the mouth of the Cape Fear River, was taken by combined Federal army and naval forces, and Wilmington, NC, the last major Confederate port on the eastern seaboard was cut off. A month later, when Gen. Schofield moved against Wilmington with a strong force, the Confederates abandoned the city. Schofield was put under Sherman’s command and ordered to move north toward Goldsboro, NC. This entry was posted in 1865, General Information on February 20, 2015 by admin.